A few months ago I had the opportunity to try out some Weleda skincare products. I was new to the brand and became very intrigued when I found out their entire range of products are organic, all natural and fair trade. However one item stood out from the rest, it is my current coveted skincare holy grail which resides in my handbag because I can’t live with it. Ok, that sounded a bit drastic but I really like it and had to share the love. It’s the Weleda Skin Food which has been my go-to for everything from moisturiser to hair pomade. It’s basically an all rounder body cream which nourishes and protects the skin leaving it hydrated, smooth and supple. It feels light on the skin and gives it a luminous glow without the greasy residue. I also use it to style my hair when it’s wet for a slick back look which smoothes and tames the frizz, and it can also double as a split ends treatment. Formulated with 100% natural ingredients, the little green gem is free from parabens, artificial preservatives, colours and fragrances. 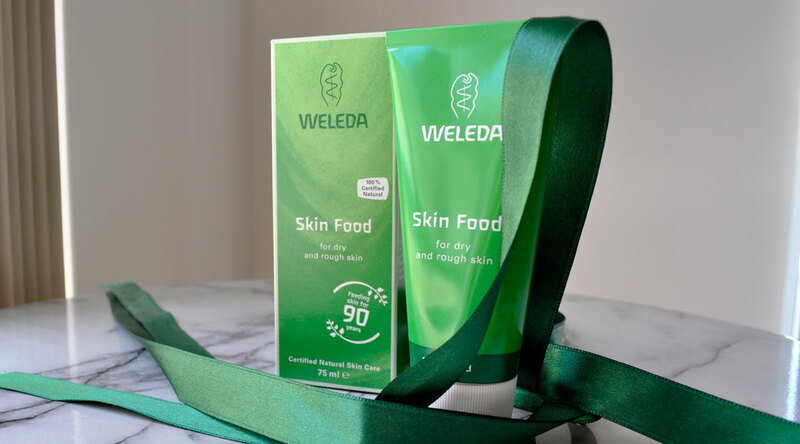 Weleda Skin Food is 100% natural and includes extracts of organic chamomile, calendula and wild pansy to soothe rough skin. Revitalising rosemary will boost dull complexions. These calming extracts are gently blended with enriching sunflower, lanolin and sweet almond oils and waxes to provide a fine protective barrier against the ravages of wind and weather. Sweet orange and lavandulae pure essential oils are included in the refreshing fragrance. Use on dry skin anywhere on the body, face, hands, elbows, and knees. Apply a small amount to your skin as needed and massage it in until the cream is absorbed. A light, protective film may remain on the skin’s surface. To deeply nourish hard-working, dry hands liberally apply the cream on the hands, cover with cotton gloves and leave on overnight. What is your skin care go-to product? One of the best hand creams i have used. And believe me i’ve tried my fair share. Whilst training as a hair colourist i’d always have my hands in water and bleach and after so many years of abusing my skin i am doomed to tough dry old hands for the rest of my life! Skin Food was my saving grace. It stopped my hands fro feeling tight and painful every second of the day. I needed a cream that was nourishing and oily but still absorbed into my skin so every i touched didn’t turn to grease. Now that my hands are better i don’t need something so powerful. I use Aveeno hand cream, which was recommended by a world renowned dermatologist at the Cadogan Clinic in Chelsea, which is where i now work. Please check out my blog to find out what other miracle products i recommend. I received a rather generous sample of this in a Glossybox and i really loved it! It’s such a great all round cream. Yes and it’s super affordable too! I was so lucky to get one of these at a blogger event too. Blessed to be introduced to it. I absolutely love it! I love Weleda Skin Food and their Pomegranate Creamy Body Wash is luxurious too. Love this brand! The Pomegranate Creamy Body Wash is wonderful! I love it too 🙂 It’s so good! I NEVER thought to use this in my hair….I think I’d be terrified by how oily it would make my hair, but if you do, maybe I should too! I’ve got such dry skin at the moment that this seems perfect! A great all in one product! That actually sounds pretty great! I’ve never heard of such Cream that can be used from head to toe! I’m loving the benefits it provides for hair care; tames frizz, split end treatment. Nice!! What a nice product, I haven’t tried anything from Weleda before. I’ve not tried anything from Weleda for ages, it used to be a brand I’d get a lot in various beauty boxes so ended up trying a tonne, but haven’t in ages! 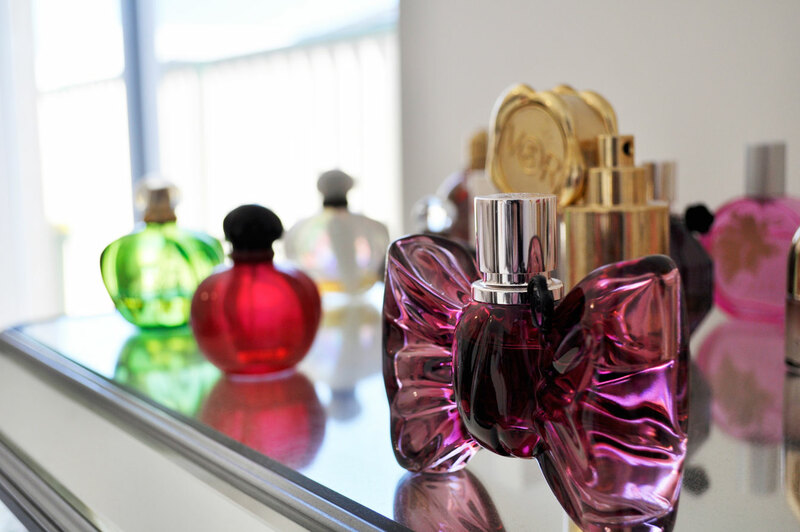 This sounds amazing though, going on my to try wishlist!